10/2009: Middlesex County officials announced on October 13, 2009, that they will purchase the 188-acre farm in its entirety from current owner William Pulda. The county and South Brunswick Township are splitting the purchase price, each contributing open space funds toward the purchase. The property is currently rented to local farmers who will remain on-site, according to the purchase agreement. 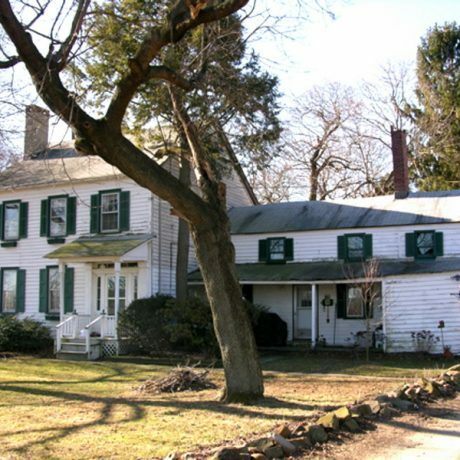 3/2013: Middlesex County successfully purchased the Van Dyke-Pulda Farm for preservation. The farmhouse and the carriage house remain standing, however, the other farm buildings were torn down shortly after the property was preserved, for safety reasons. The Eastern Villages Association remains involved and is working to establish a museum on the property to preserve the history of the Van Dyke family. This property was deeded to the Van Dyke family in 1688, and it remained in their hands until 1954, when it was purchased by William Pulda. The property, which is today roughly 200 acres, contains a farmhouse and carriage house both in good condition, some other farm buildings, and a family graveyard. The farmhouse is a mix of Federal and Greek Revival styles built in the eighteenth century and enlarged in the nineteenth. The farmyard includes the sites of early farm buildings that might yield important archaeological information. According to local tradition, the family cemetery includes the graves of Revolutionary War soldier John Van Dyke and his family. It may also have an unmarked slave cemetery nearby. Although eligible for listing in the New Jersey and National Registers of Historic Places a developer has taken aim at the property. When his first proposal for a warehouse was rejected by the township he came back with the current plan for seventy-six single-family homes. Groundbreaking is projected for later this year. A local group is working to save the property. The New Jersey Green Acres program, South Brunswick Township, and Middlesex County all have some funds available to purchase it, but they would need a willing seller. PNJ thinks this property could be saved if the parties would agree to talk with one another. It is not only of historical significance but because it is adjacent to the Pigeon Swamp State Park it would be an important open space acquisition. Advocates continue to work for its preservation. Middlesex Co working with State to secure funds for the acquisition.